Emit Snake-Beings graduated in 2016 with a PhD from the University of Waikato in New Zealand and had Dr. Garnet Hertz as external thesis advisor. 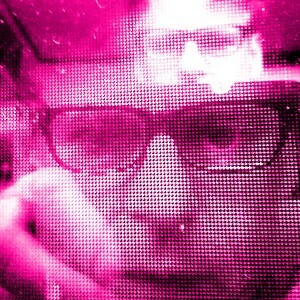 Dr Emit Snake-Beings is an educator, practitioner and theorist in the field of digital Creative Technologies, video, sound and interactive media His interest is in combining digital media with the practical, hands-on and material focused approaches of DiY (Do-it-Yourself) culture. Emit’s own practice as research circulates between DiY electronics, programing interactive media, film, video, animation, visual arts, soundscape and location recording. There is often an element of performance and material engagement as an integral component of the process often embodying aspects of knowledge which are often missing from purely digital new media. He has taught extensively on a variety of practice-led media studies papers, at introduction, intermediate and advanced level, as lecturer and convenor specialising in studio production. He has also supervised at postgraduate level in creative technology. As well as being art-based and practice-led, his research has included the use of interview, ethnographic film, material analysis and observation of studio/workshop practices. For more on Snake-Beings, see https://www.snakebeings.co.nz/.